You’ve probably heard many a horror story about someone losing an engine when the oil pump fell off into the pan because of a broken bolt. 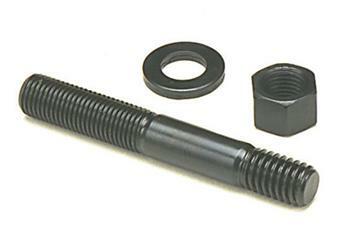 Well, you can put your mind at ease when using ARP’s premium grade oil pump bolt and stud kits. You have a choice of black oxide finished 8740 chrome moly steel or low maintenance stainless steel. Both are nominally rated at 170,000 psi tensile strength to provide you with plenty of clamping force. Moreover, take your pick between conventional hex style or 12-point designs. This is “insurance” that no conscientious engine builder should be without! 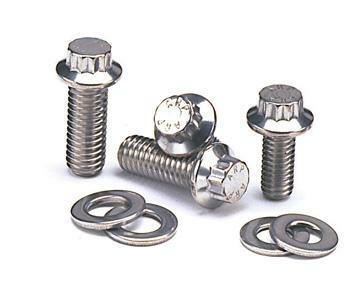 The studs come with flat washers and nuts, while the Ford bolt kit has flat washers only. These inexpensive fasteners can literally save your engine.